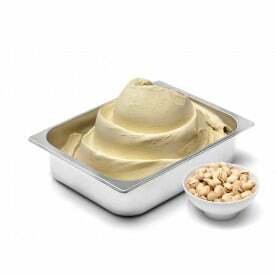 Pure Mediterranean pistachios gelato paste. 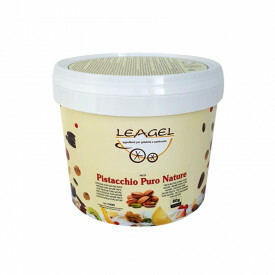 Pure Pistachio Nature Paste Leagel encloses a selection of the best pistachios of the Mediterranean. An exclusively pure paste, without dyes. Pistachios are shelled, toasted with a more lasting process than the other preparations, refined and packaged. Pure pistachio Nature Paste is unique for a pistachio ice cream with a strong and natural flavour.